Community Voice in East Bay Community Choice! In April, progress continued toward the launch of East Bay Community Energy (EBCE), Alameda County’s new Community Choice energy program. Most relevant for community-minded advocates, the governing board is soon to seat a Community Advisory Committee and a contractor has begun work on creating a local development business plan. Community Advisory Committee. The function of the 9-member Community Advisory Committee set forth in the foundational agreement of EBCE is to advise the Board of Directors on all subjects related to the Community Choice energy program. Over three dozen people have applied to serve on this Advisory Committee. However, in March, Alameda County staff proposed a Scope of Work for the Advisory Committee, which would have limited and proscribed the work of the committee. Staff proposed that the committee act only at the Board’s “sole discretion” on “defined objectives as directed by the Board.” Such restrictions on the work of the Community Advisory Committee would undermine its ability to represent the community. 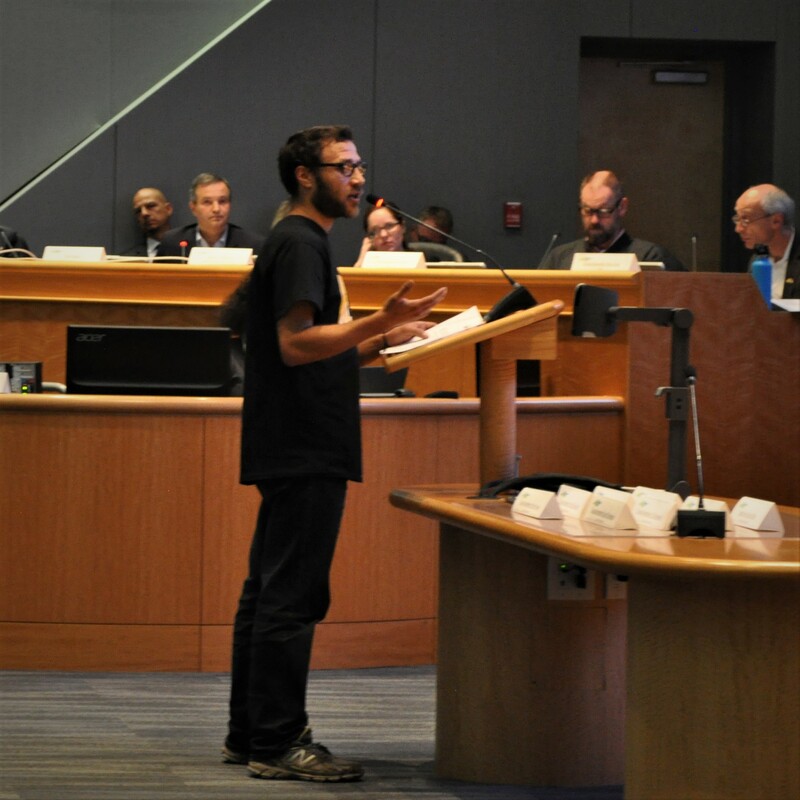 In response, the East Bay Clean Power Alliance met with EBCE Board members and mobilized advocates to speak at the April 12th Board meeting against such restrictions. These efforts successfully resulted in the adoption of revised language that ensures that the function of the committee and the voice of the community will not be restricted. Start of work on local development business plan.The foundational agreement of EBCE called for a local development business plan as a high level roadmap of how EBCE could achieve many community benefits by building out local renewable energy resources. The vendor selected to create this local development business plan, a team of organizations led by The Offset Project, began their work in April. At the April 12th EBCE Board meeting, project manager Chris Sentieri acknowledged the impact of community advocates in calling for such a plan and affirmed his intent to work closely with community members in developing the plan. For example, the planning process will include a series of focus group discussions to inform planning for different aspects of the program.